ZAR 2,250,000: Light-filled cottage with a kitchen you will love, charming garden and private parking for two cars in a very secure street. ZAR 2,100,000: Sun-filled, loving home in the middle of it all, in a quiet street in central Observatory. ZAR 1,570,000: Super apartment offers central city living, with a secure parking bay. Successful AirBnB business. ZAR 3,850,000: Gracious, freestanding, Victorian family home on large grounds with parking and a big swimming pool. Good condition and position. ZAR 2,950,000: Offices, student accommodation, a home to live in, a property to divide into separate units to rent out. Central Observatory in a side street and walking distance to everywhere..
ZAR 1,470,000: Spacious city apartment with beautiful views of Table Mountain. 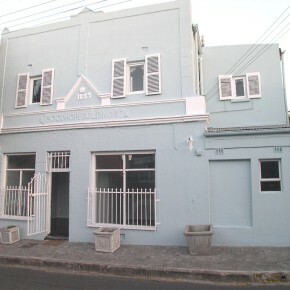 The perfect student or holiday pad, within walking distance of all the schools and attractions Cape Town has to offer. Investment opportunity includes the possibility of taking over the present tenants. ZAR 2,450,000: Freestanding house, newly restored, with a new roof and staff quarters. Light and airy. Low maintenance. Serious selller. I specialize in Observatory, a suburb situated 10 minutes away from the city centre and Table Mountain. 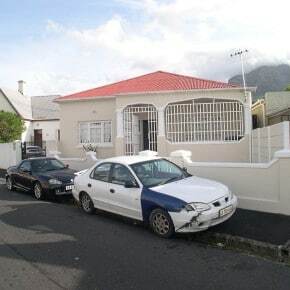 It’s like living in a village in the middle of a city, where the streets are alive with a cosmopolitan mix of mostly young people associated with educational institutions - like the University of Cape Town - as well as first time home owners. Most of the houses are more than a 100 years old, in the Victorian style, in small and narrow streets. The high streets are Lower Main Road and Station Road. We have Devil’s Peak – part of the Table Mountain range – as our western border, with the Liesbeeck River and wetlands on the eastern end. On the northern side is the mostly Muslim suburb of Salt River, and on the south end, the real English suburb of Mowbray. Observatory consists of approximately 2000 houses, most of which are attached. Our city is situated between mountains and the sea, offering a Mediterranean climate of warm, dry summers and moderate, rainy winters. It is particularly popular with people from the northern hemisphere who prefer to exchange their winters for our summer. The population of approximately 4.5 million living in greater Cape Town is made up of diverse cultures and is affectionately referred to as the Rainbow Nation. How can we exceed you expectations? Papa CJ live at Cape Town Comedy Club! © 2017 Hot Property In Cape Town. All Rights Reserved.